Ready for an unusual dining experience? 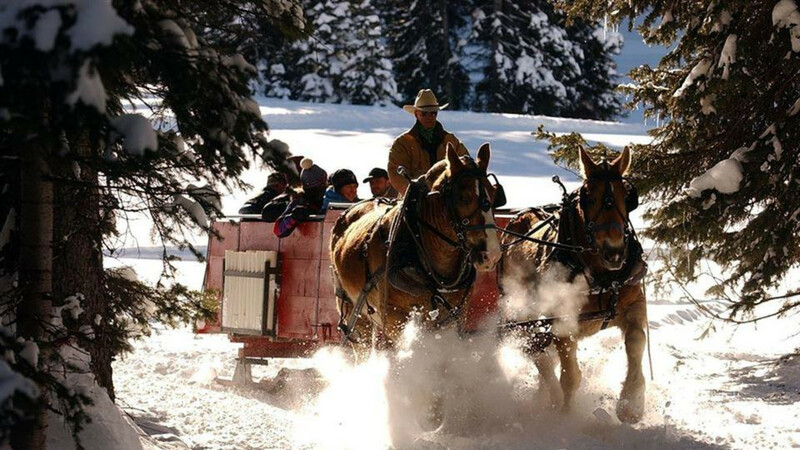 Take a ride on a horse-drawn sleigh with an authentic cowboy. Paul Martin and his trusty steed teams Prince & Maude or Pete & Cap will definitely provide a memorable vacation experience. 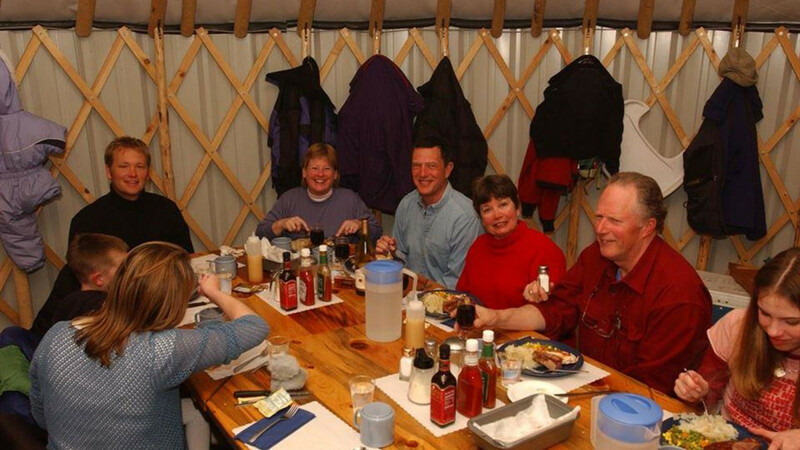 Your destination is our high altitude yurt where Paul will treat your group to a western style dinner complete with scones and honey butter. Dress in layers for the ride can be brisk, but the yurt is warm and cozy.